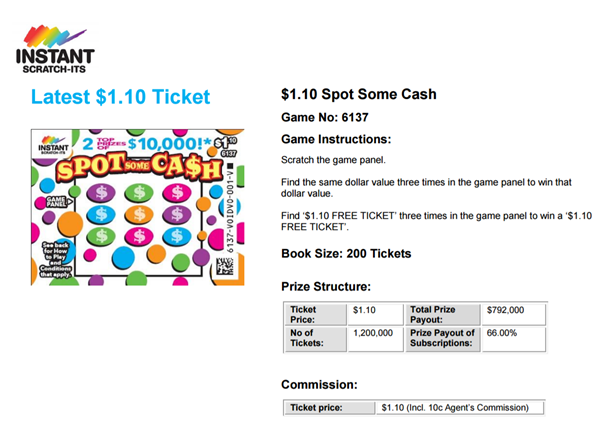 Instant Scratch-Its are a fun ‘instant win’ scratch lottery game from NSW Lotteries. 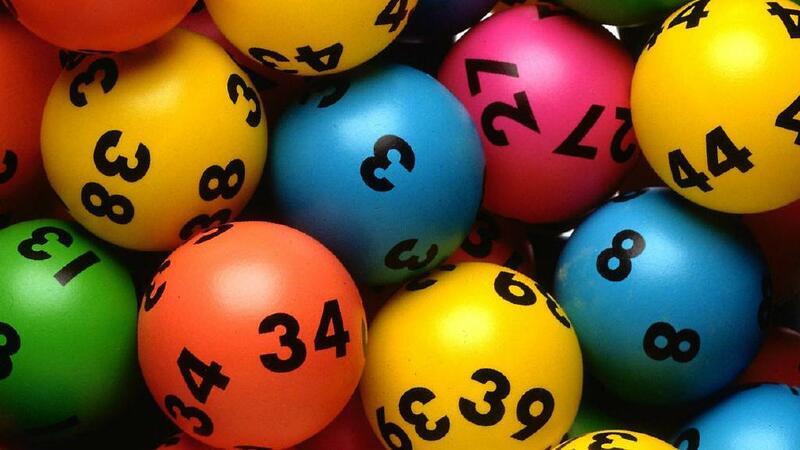 In this lottery you do not have to pick numbers, or wait for a draw to be conducted to see if you have won a prize. You simply scratch to find out whether you have won or not. 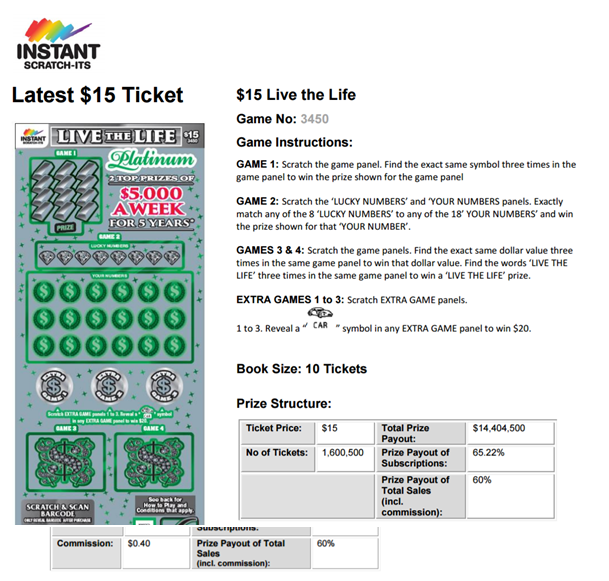 NSW Lotteries first introduced Instant Scratchies to Australia on 15 November 1982 as a replacement for the $1 Draw Lottery. The very first game in NSW was called “Harbour Bridge” and cost just $1 to play. The top prize was $10,000. 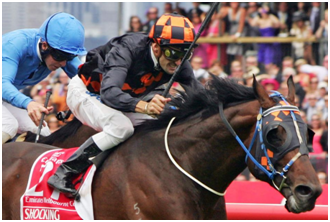 In January 2012, NSW Lotteries updated the brand name to Instant Scratch-Its and introduced the new brand logo that exists today. Over the years, different style games have been introduced at different price points to the portfolio of games to meet demand in the NSW market. Today there are many different price points ranging from $1.10 to $15 offering a variety of different styles of games including Crosswords, Bingo and Live the Life just to name a few. 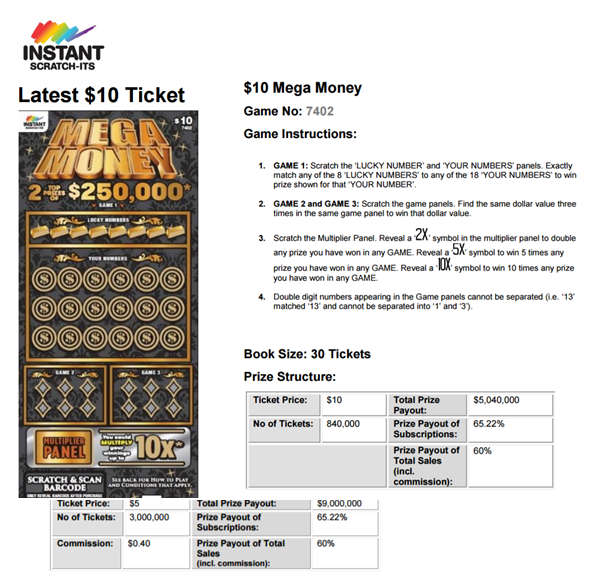 Instant Scratch-Its games are changed frequently to create variety in the range and to increase player enjoyment. 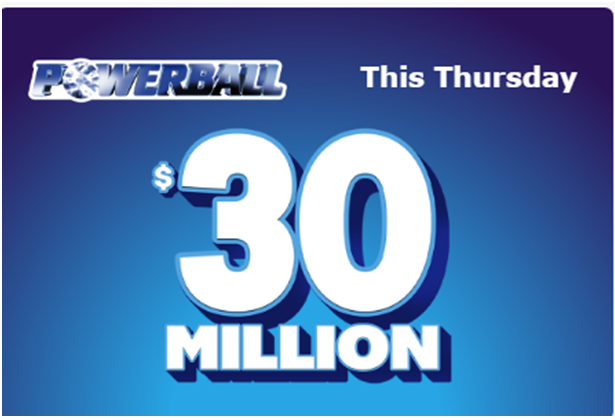 Each year over fifty new Instant Scratch-Its games enter the market at various price levels offering players the opportunity to win top prizes from $10,000 to $1,000,000 instantly! 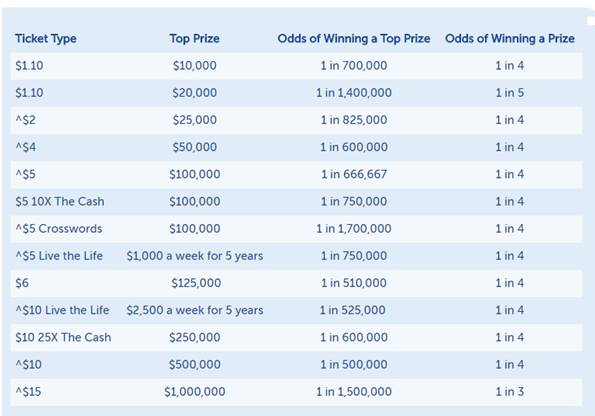 The Live the Life range even offers a top prize paid weekly over five years. 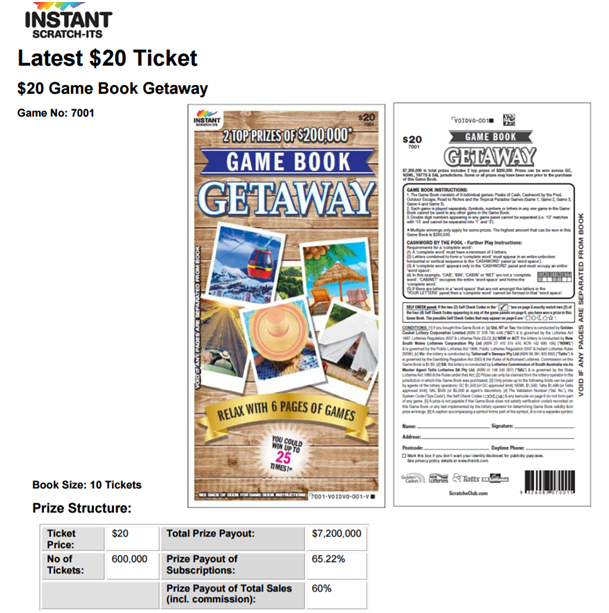 What are the games and how much the Instant Scratch-Its ticket cost? 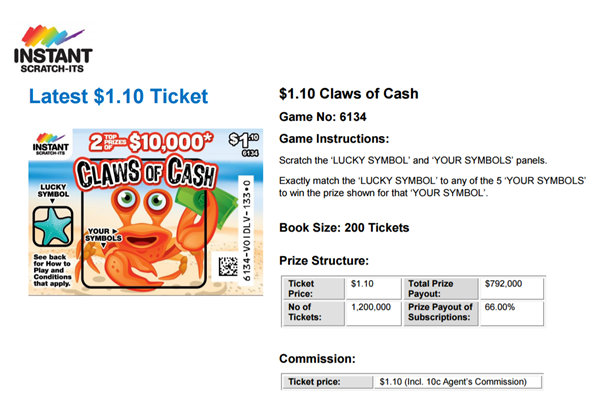 Besides these there are other $5 and $10 lotteries to play in Instant Scratch its. Find agent close to you to get your tickets today. Each game has its own play instructions varying from a fast and easy ‘scratch & match’ mechanic, to play styles that take players on a ‘journey’ to uncover potential prizes with a little bit more fun and excitement on the way! Play instructions are found on the front or back of tickets. 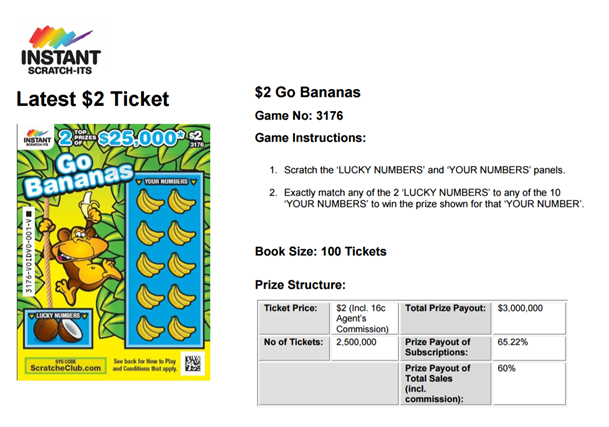 There are play instructions on each Instant Scratch-Its ticket, telling you how to win. 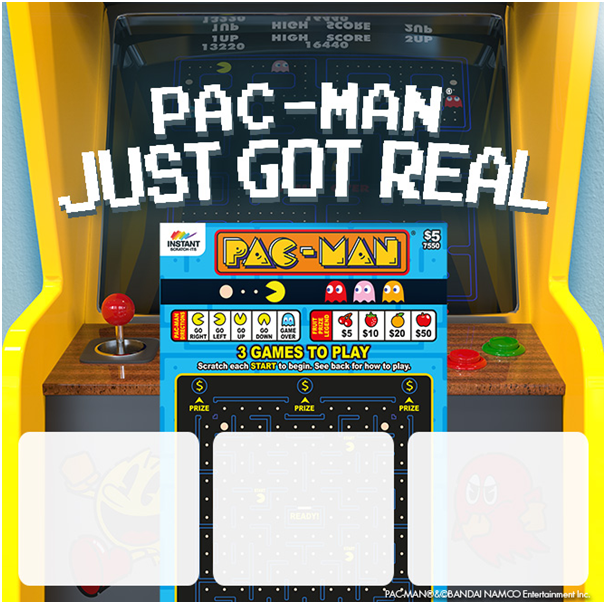 You can also just take your Instant Scratch-Its ticket to your local agent to check if you’ve won a prize. Also you can enter eligible non-winning tickets into the Scratch eClub month second chance draw? Simply register at the Scratch eClub, check the eligible game numbers for the month and enter the draw for a second chance to win major cash prizes. 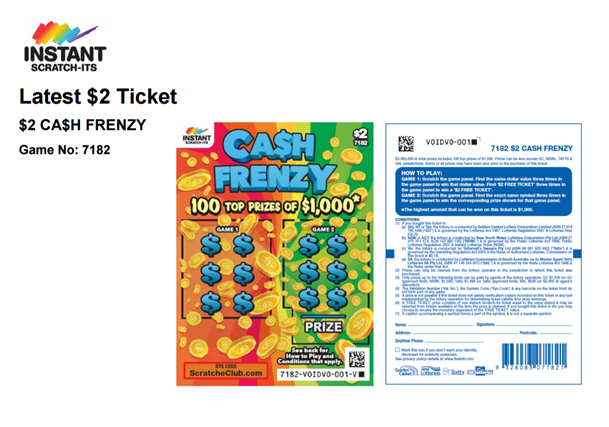 Instant Scratch-Its prize values can range from a few dollars to a few million dollars so there are a number of ways to claim your prize. All Instant Scratch-Its prizes up to and including $1,000.00 can be claimed at any NSW Lotteries Outlet by presenting your winning Instant Scratch-Its ticket. Your prize payment will be processed and paid within 10 working days of receipt of your claim form by NSW Lotteries, or after necessary waiting periods as listed. Also you can call at NSW Lotteries on 131 868 or 02 9752 5500 during business hours: 8.00am – 5.00pm Monday to Saturday 8.00am – 2.30pm Sunday or Email: info@nswlotteries.com.au to know more. The odds of winning in the table above are based on the total number of tickets which are generally printed for each ticket type. 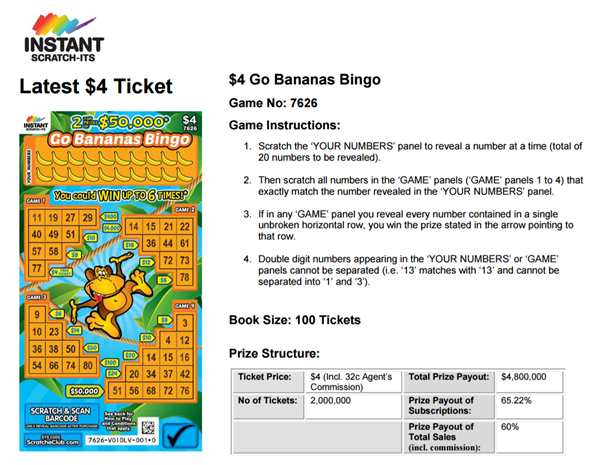 However as the total number of tickets printed for each ticket type may vary from time to time, in those cases the odds of winning prizes may vary from those presented in the table above. 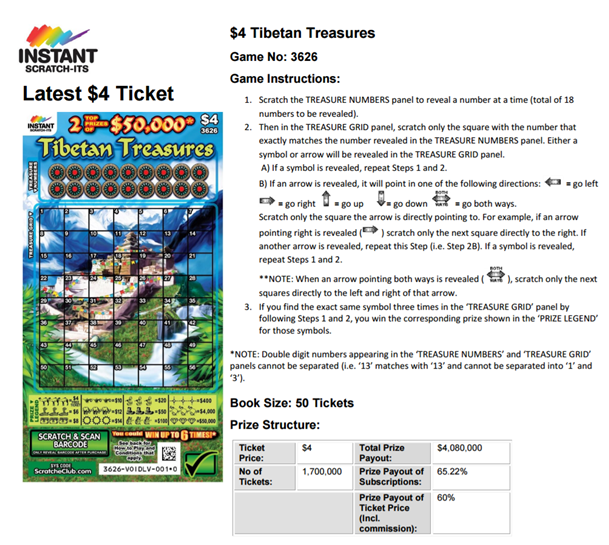 Therefore Instant Scratch-Its tickets are a unique form of instant lottery where the prizes are all determined at the time of printing. 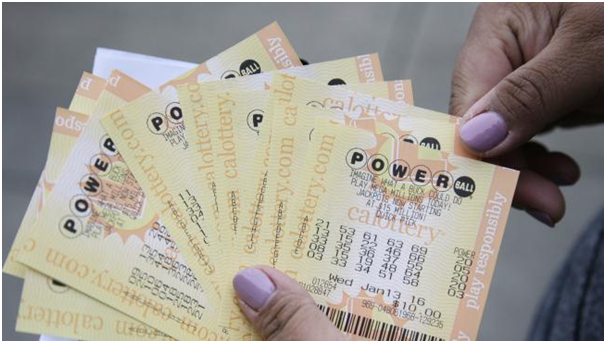 NSW Lotteries prints all Instant Scratch-Its games at a secure facility using some of the most advanced and secure printing processes in the world. 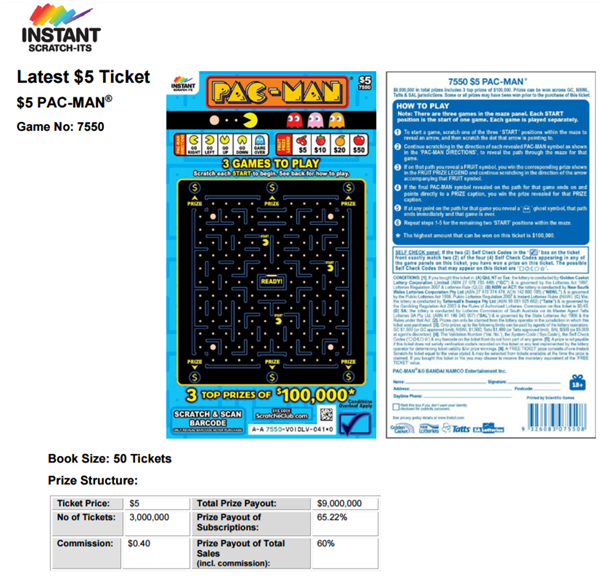 When games leave the production line they are already sealed with latex and neither NSW Lotteries, the printers nor Retailers are able to determine which tickets are winners. Tickets for a particular game are randomly distributed to the NSW Lotteries retail network of around 1,600 Outlets. 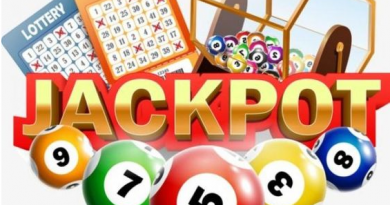 Because of the secure nature of the game and the random distribution of tickets, there is no way of knowing exactly what prizes are still available to be won. In addition, winning tickets may have been purchased but not yet claimed.